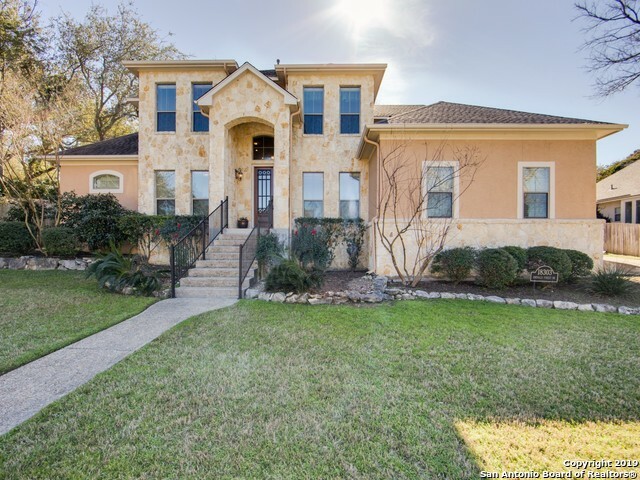 All EMERALD FOREST homes currently listed for sale in San Antonio as of 04/18/2019 are shown below. You can change the search criteria at any time by pressing the 'Change Search' button below. "Gorgeous 4 bedroom, 3.5 bathroom, in excellent condition with custom upgrades and amenities. Wood and tile flooring throughout entire house, blue pearl granite in kitchen and full bathrooms, custom built-in butler's pantry and upstairs desk/workspace. Main level master bedroom has high ceilings, including huge master bathroom and walk-in closet. This pristine property has been recently painted, both interior and exterior, has mature trees, a private backyard with two patios, in a 24/7 guarded co"
"Gorgeous Emerald Forest Home with your own private backyard Oasis with heated pool and adjoining spa! This fabulous floor plan features the master BR downstairs, study/office, 2 living areas, 2 dining areas, eat-in kitchen, 3 bedrooms up with game room. Fantastic location on a cul-de-sac street in a guard gated community with excellent amenities, top rated schools, convenience to highways, mature trees, etc. Many updates including high-end wood floors, 2 year old roof, resurfaced pool, interior "
"This is the home where you CAN have it all! 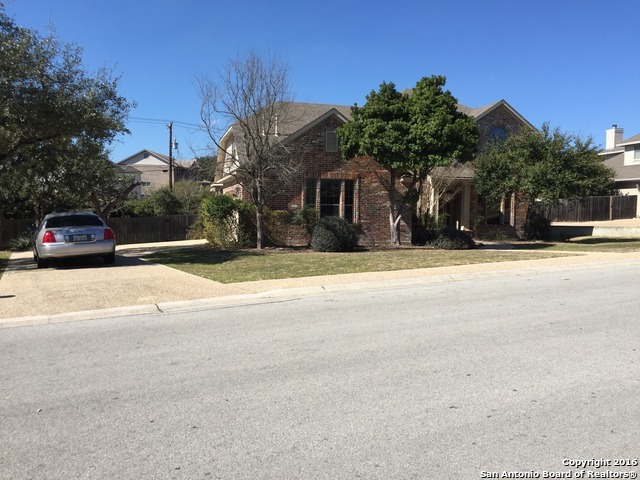 Stunning estate in a highly sought after neighborhood within an award winning school district (NEISD). Grand entry with a curved staircase that draws you in. Living room with soaring ceilings and a 19' tall stone fireplace. The entire house is wired for audio and video to include master bathroom. 3 car garage plus extra storage. A backyard with so many trees, you could get lost in the woods!" 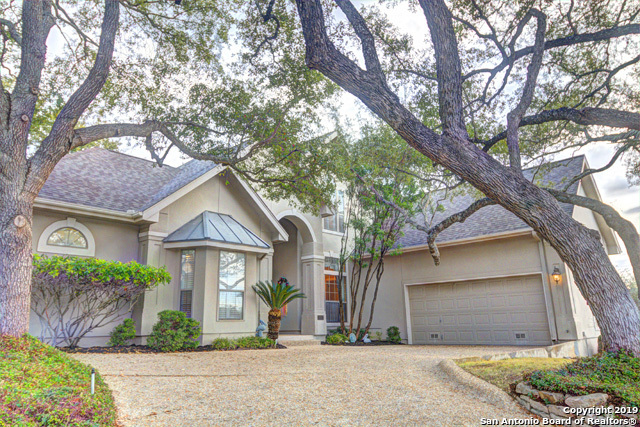 "Gorgeous custom home in the prestigious guarded community of Emerald Forest! Grand entrance with stately double doors! Open & spacious floor plan w/ an entertainer's kitchen w/ gas cooking & high-end appliances! Luxurious master suite w/ spa-like bath! Large BR's w/ walk-in closets! Game rm w/ wet bar, study w/ secret rm, huge laundry rm, 3 car oversized garage & so much more! 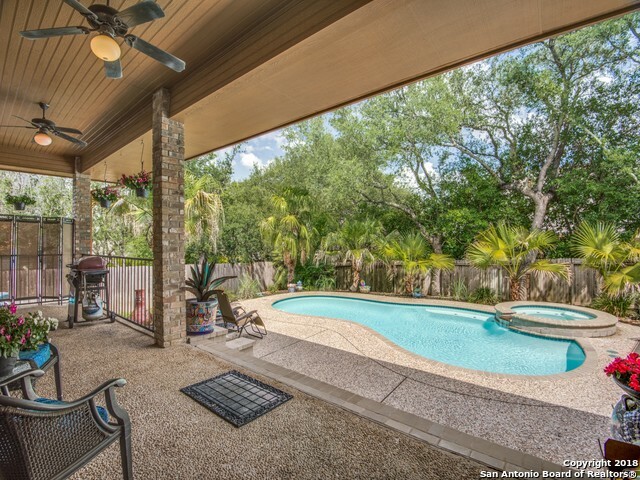 Park-like backyard w/ covered patio, pergola, putting green, & privacy backing to a greenbelt! Great location close to 2"
"Emerald Forest is a very desirable scenic community of Custom Built Homes . This development offers a 24/7 Guard Gate and a unmatched location to Schools, Restaurants, Shopping and an easy access to the Airport,and Downtown. Free Ranging Deer can be seen on a regular basis. This Beautiful Custom Built Home offers a family friendly floor plan, custom landscaping, and lovely custom decorator window treatments. Call your Realtor today to see. The Seller will give a @10,000 Flooring Allowance"
"Beautiful & spacious Home with a HUGE BACK YARD. GATED/GUARDED Subdivision. Master has His & Hers walk in closet, double vanity, walk in shower & TUB, two EATING areas, walk in pantry; open PLAN, FAMILY ROOM w/FP, Backyard has plenty of room for a playhouse, pool & much more. BUYERS please list this one as a MUST SEE. Plenty of space in both Family Room downstairs & Game Room upstairs. READY FOR MOVE IN!!! NEISD Schools. A MUST SEE! ONE OF THE BIG YARDS INN THE SUBDIVISION."